The occurrence of white hair is determined by the following factors. It is the predominant factor in determining at what age your hair loses pigment. For some people, it can happen even before they turn 20. For others, the first strands of white appear rather late (1). In most of the cases, a deficiency of melanin is the leading cause of hair whitening. The production of melanin depends upon appropriate nutrition and protein supplements. The lack of these nutrients causes melanin to fall below acceptable levels. Your hormones have a huge impact on the pigmentation of your hair. An imbalance can cause your hair to turn white (2). Certain underlying medical conditions can trigger a loss of pigment in your hair. They include a deficiency of vitamin B12 or problems with the thyroid and pituitary glands (3). Changes to your hair color can occur due to external factors such as the climate, pollution, and exposure to certain chemicals. These factors speed up the process of aging (4). There has been a recent breakthrough regarding the loss of pigment in hair. It was discovered that hair follicles release a small amount of hydrogen peroxide, which gets accumulated over time. It bleaches the hair and causes it to turn gray, and eventually white. By removing this accumulation, it is possible for your hair to regain its natural color (5). Combine the oils and heat the blend for a couple of minutes until it is slightly warm. Massage this oil mixture onto your scalp and work it down to the tips of your hair. After massaging your scalp for about 15 minutes, leave it on for an additional 30 minutes. 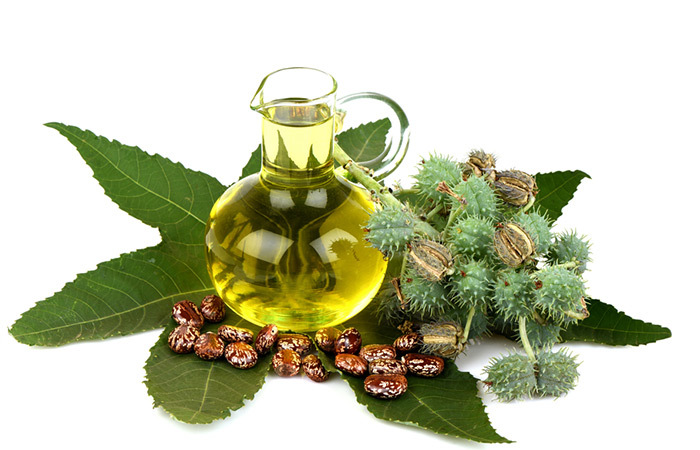 Mustard oil is an excellent source of essential minerals that help maintain the health and color of your hair. 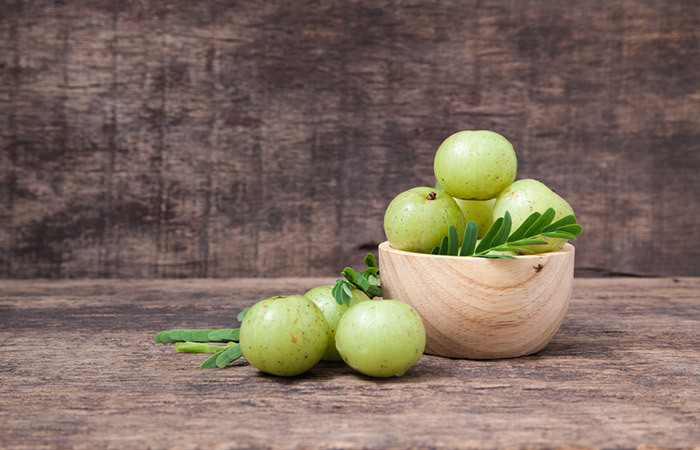 This mix helps keep your follicles nourished and healthy to curb graying. In the morning grind the seeds with enough water to get a smooth, consistent paste. 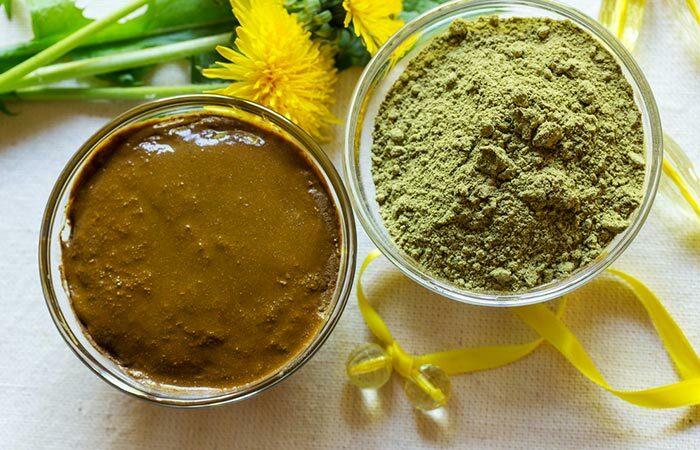 Apply this mixture to your hair and scalp and leave it on for about 45 minutes. 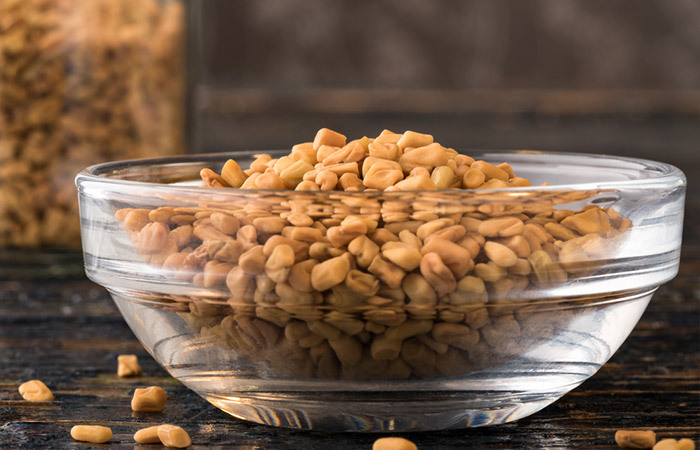 Fenugreek is rich in nutrients like vitamin C, iron, potassium, and lysine. These nutrients not only prevent premature graying but also help in hair growth and preventing scalp dryness. Chop an onion into small pieces and blend it with about a tablespoon of Olive Oil. Squeeze the juice out of the pulp using a cheesecloth. Apply this juice onto your scalp and massage for about 10 minutes. Leave the juice on for an additional 30-35 minutes. 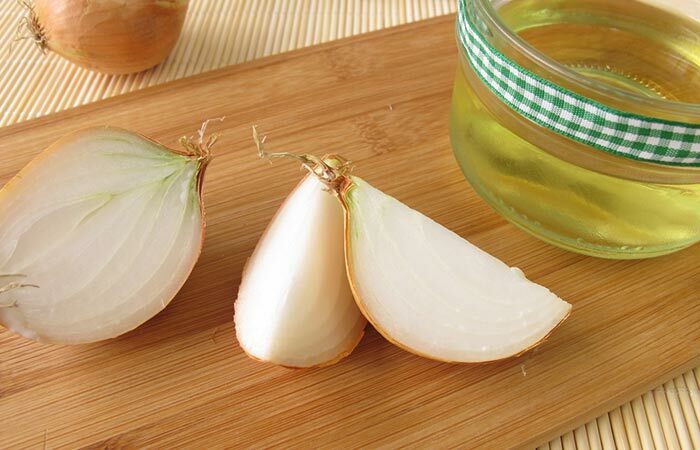 Onion juice has been scientifically proven to reduce hair fall. It also helps reverse graying and improve the health of your hair. However, the only drawback to using this remedy is that it is hard to get the onion smell out of your hair. Boil the sage leaves in water until it is well brewed. Let the concoction cool and then collect the liquid in a spray bottle. 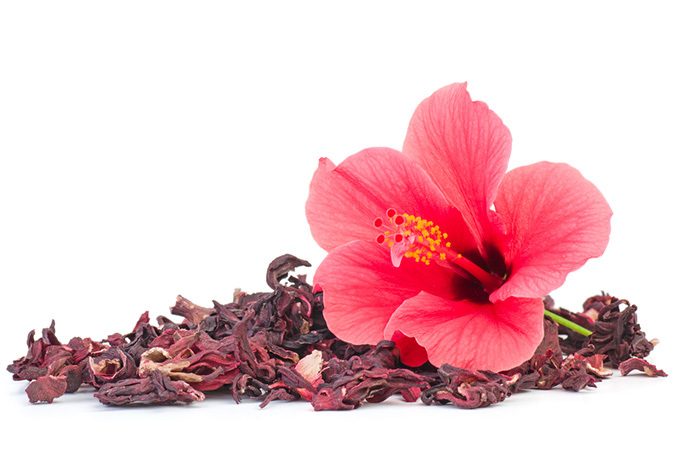 Spritz your hair until all of your hair is saturated with the sage tea. Leave the tea on for about 2 hours. Wash the sage solution out of your hair with a mild shampoo and finish with conditioner. 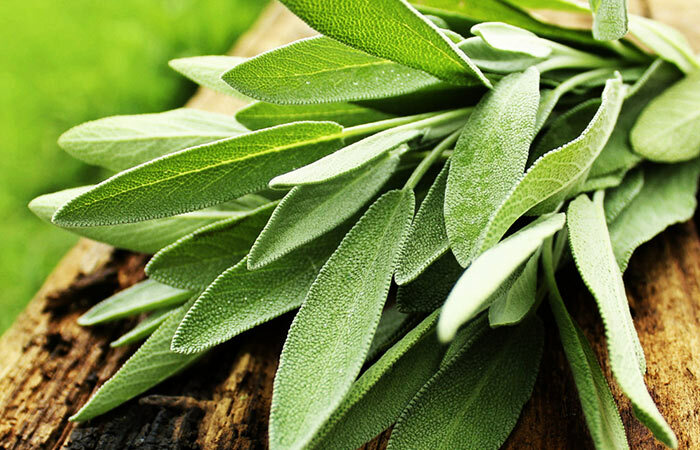 Sage leaves are a natural color preservative that keeps your hair from graying. In some cases, it also helps restore pigment to white hair strands. 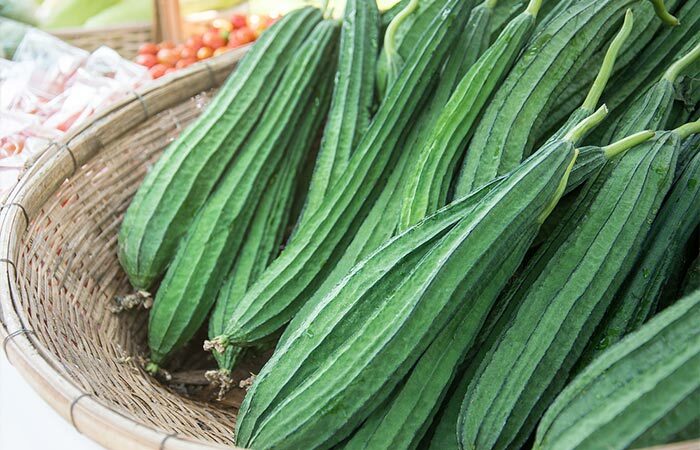 Soak the ridge gourd in coconut oil in an air-tight jar for about 3-4 days. After 4 days, take about 2 tbsp of the oil and heat it until it is slightly warm. Massage the oil into your scalp and then work it down to the tips of your hair. After massaging your hair for about 15 minutes, leave the oil on for an additional 30 minutes. This remedy works as a tonic which helps provide your follicles with the nutrients it needs to grow healthy and pigmented hair. It helps revitalize your roots and restore the natural pigment that gives your hair its color. Combine the two oils and heat the mixture until it is slightly warm. Apply the oil onto your scalp and then work it through the length of your hair. After massaging for about 15 minutes, cover your hair with a hot towel and leave the oil in for an additional 30 minutes. 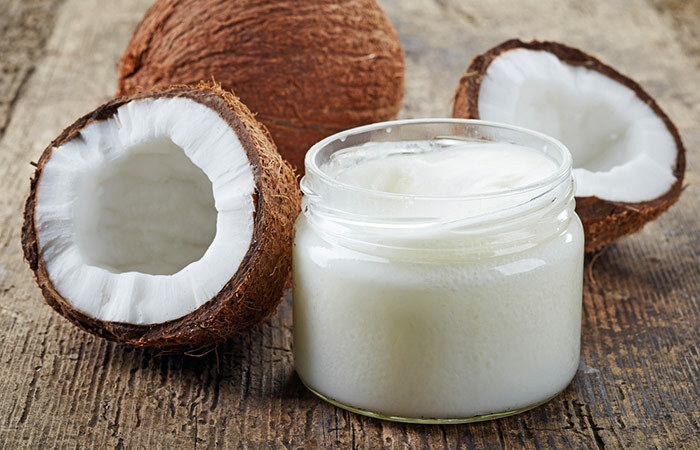 Coconut oil is one of the most penetrative hair oils with a rich source of fatty acids that help condition your hair. In combination with sesame seed oil, it helps promote melanocyte activity, ensuring that each strand is deeply pigmented. Sesame seed oil also helps darken the color of your hair with regular use. Blend the ingredients to get a smooth paste. You can add a little water to the mixture to ensure that the paste is smooth and consistent. Apply the mixture to your scalp and work it down to the tips of your hair. Leave the mask on for about 45 minutes. This mask helps strengthen and nourish your hair follicles to maintain scalp health and boost healthy hair growth. It helps prevent premature graying while also conditioning your hair, making it manageable. Your hair could be turning white due to a deficiency of vitamin B12. If this is the case, reversing the graying process could be as simple as consuming sufficient amounts of the vitamin. 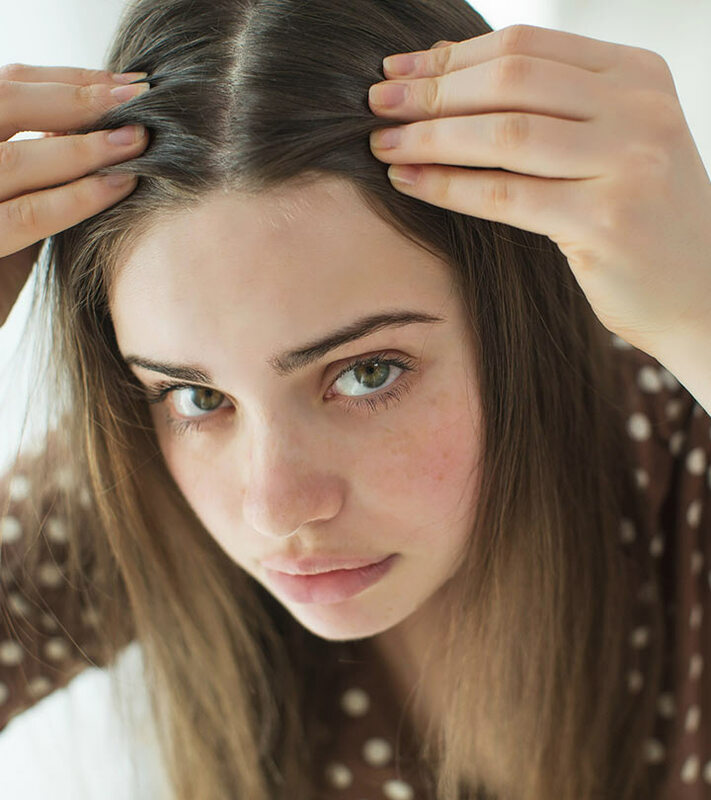 Vitamin B12 deficiency causes pernicious anemia, and your hair losing its pigment is a symptom of the condition. This condition can be reversed by maintaining a balanced diet that is giving you the right amounts of the vitamin. Your thyroid gland has an impact on all the vital functions of your body. An underactive thyroid, or hypothyroidism, can result in premature white hair. It is necessary to monitor your thyroid levels to be aware if it is causing the loss of pigment in your hair. Hypothyroidism is a serious chronic condition and might require hormone supplementation. Certain foods can interfere with the working of your thyroid gland. To keep your thyroid levels in check, keep tabs on your diet. Your lifestyle has a huge influence on the health and color of your hair. Smoking has adverse effects on your body and could be contributing to white hair. A study determined that smokers have a higher chance of their hair losing pigment than non-smokers (6). 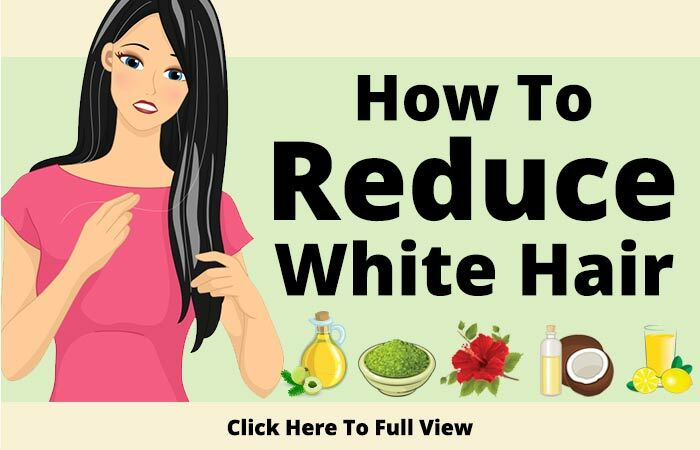 Your diet may help prevent the occurrence of white hair. Just make sure that you consume enough antioxidant-rich food. Loss of pigmentation can be accelerated due to oxidative stress. 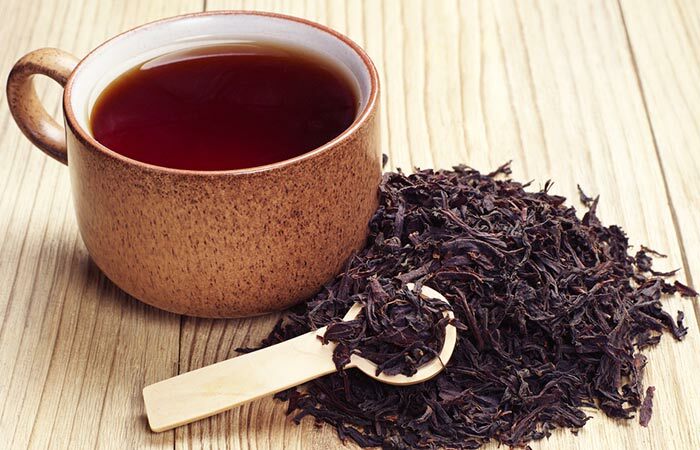 Oxidation, which is a natural process, produces free radicals, and the amount produced increases as one ages. This imbalance causes hair to lose its pigment and turn white. If you are graying due to a vitamin B12 deficiency, you should consume more seafood, eggs, and meat, including pork, beef, and lamb. Dairy products such as milk and cheese are good sources as well. Those following a vegetarian or vegan diet can opt for supplements or products that are enriched with vitamin B12. Also, consume antioxidant-rich foods such as berries, grapes, green leafy vegetables, and green tea. Berries – Rich in vitamin C.
Shell fish – Contains zinc which helps keep your hair pigmented. Meat liver – Combats anemia and iron deficiencies. 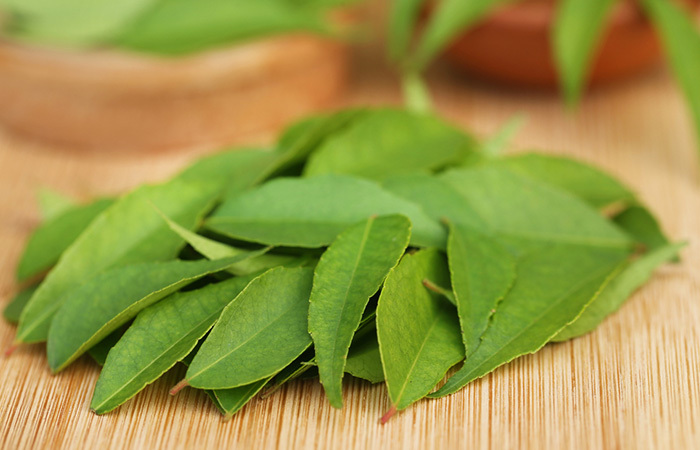 Carrots – Rich in vitamin A.
Curry leaves – Rich in the B vitamins and minerals such as selenium, iodine, zinc, and iron. Spinach – Helps in the production of melanin. Eggs – Rich in vitamin B12. Beans – Rich source of protein. 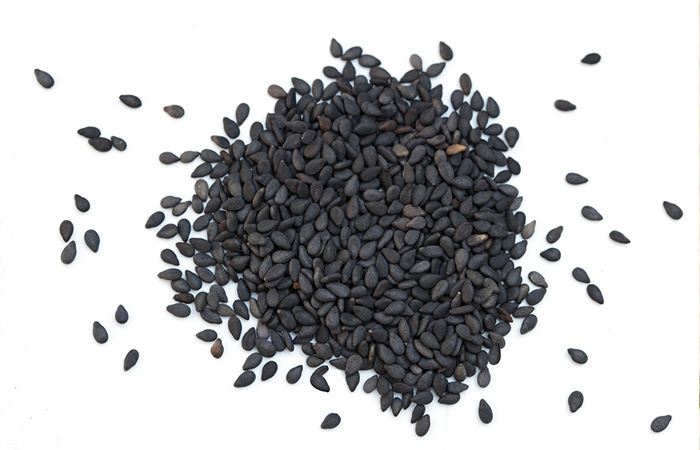 Sunflower seeds – Rich in antioxidants and minerals. Walnuts – Rich source of copper, which helps in melanin production. Can White Hair Turn Black Again? With the right diagnosis and treatments, graying can be reversed, and white hair can turn black. But if the problem is genetic or age-related, it is unlikely to reverse the process. It is possible, however, to slow it down with a balanced diet and a good hair care regime. It is natural for your hair to lose its pigmentation, and it’s up to you if you want to color it or display it in all of its glory. 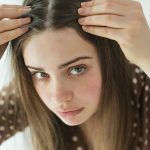 The consistent use of these remedies can help slow and reverse hair fall and graying of hair. They may work gradually, but with patience, you will see visible results. Have you tried any of these remedies for white hair? Tell us about your experience in the comments section below. No one likes dealing with facial hair. But it gets even worse when your facial hair starts turning white. Check out these 9 effective methods to remove white facial hair. There was a time when hair graying happened to only older people. 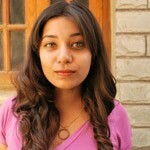 But in our present day, due to high-stress levels and pollution, we see this even among girls as young as 16.